Takedown Red Sabre - Buy and download the game here! Order now to get day one access to the Red Sabre Deadly Killhouse DLC. This content adds a special, highly challenging single player Tango Hunt map to hone your skills and get ready for the challenging multiplayer modes. Test and refine your load out combinations while perfecting your lethal search and destroy skills in a map designed personally by the FPS veteran designer behind the game, Christian Allen. 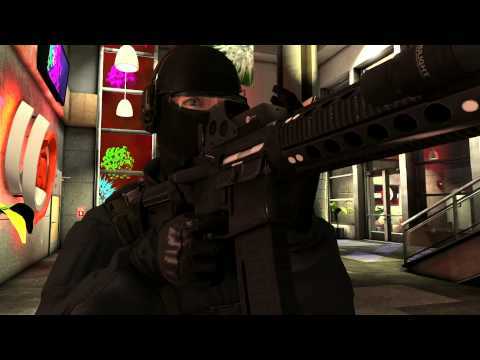 TAKEDOWN: Red Sabre is a tactical shooter that is perfect for the player who chooses to engage in deliberate and methodical gameplay as opposed to gamers who want to run in with guns blazing. The game is in development by Serellan, a team of veteran developers who have worked on titles in the Ghost Recon, Halo, SOCOM, SWAT and F.E.A.R. franchises. The team is led by Christian Allen, the former creative director of the Tom Clancy’s Ghost Recon franchise. Fight Smart in Deadly, Close Quarters Combat – Players must think and move tactically, stay alert, watch, listen and choose wisely while setting up their squad for the perfect shot. Tackle Engagements That Are Different Every Time – Nonlinear maps allow for multiple tactics and approaches to both attack and defense. Gamers must choose their gear to best execute strategy. Out Think The Enemy – Gamers need to work closely and communicate well with their team to not only attack the enemy but to coordinate to secure multiple objectives.